You see... the primary purpose of primer is to provide optimal adhesion of paint to the underlying surface then to make uniform base color. While uniform base color is something all primers (and most paints) can provide it appears that not all primers can adhere to plastic. Here I want to point out that I don't want to harm AK interactive by no means, I have other their products which I am happy with and I don't have affiliation with any other company. But when it comes to user satisfaction and product quality I think all should be said as it is. My Whitley build came to the point where it was time to put some paint on it. In order to provide the best possible conditions for the primer I sanded the complete surface of the model for it to "hold" on. Then the surface was thoroughly degreased. 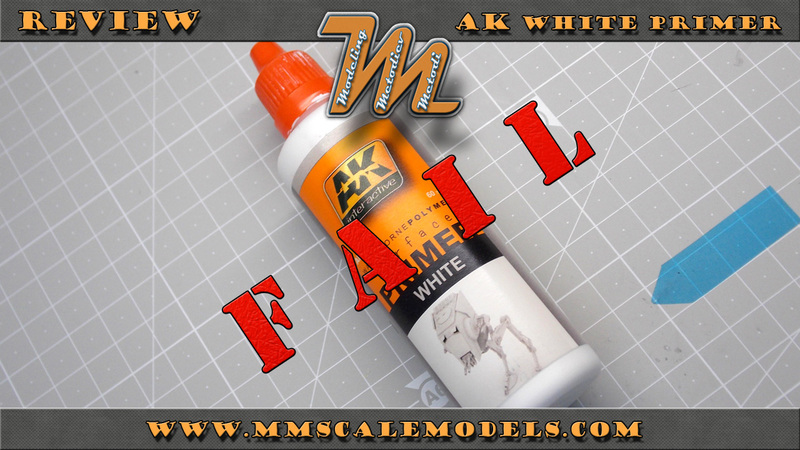 I used the factory recommended thinner - AK712 and the primer in question is AK177 waterborne polymer White primer. It was airbrushed and went on smoothly, covered really well with super fine surface finish. I left it to cure for 48h more or less. 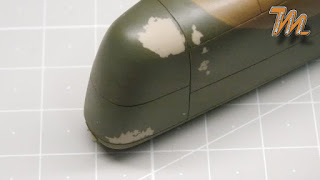 I was surprised to see that ANY contact with hard surface would knock the primer off completely. What is more every attempt at wet sanding would fail in a pool of dissolved primer. And if that is not enough dry sanding was just peeling/scratching the primer away revealing the bare plastic. 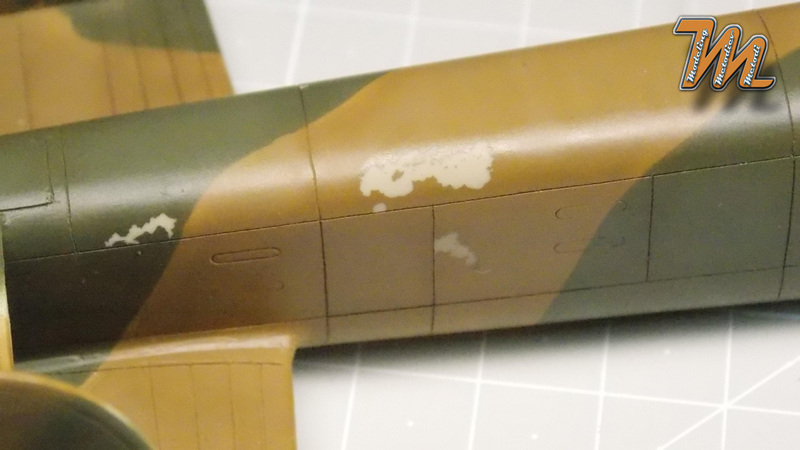 To prove that surface prep was good enough the silver paint (GSI H8 thinned with Mr.Hobby acrylic thinner) I used to check some seams was was clinging for dear life. I tried to contact AK interactive through both their e-mail and their Facebook page but I still have no word from them - their customer support is virtually non existent. At this point I should have washed the damn thing but I didn't and it continued menacing my project. ... and this is just part of the trouble areas. 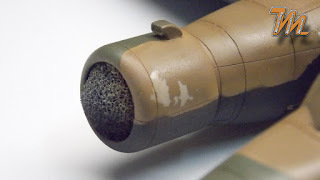 For the years of using Tamiya super fine primer (from spray can) I haven't had such problems. I know that solvent based primers etch in the plastic and water based primers don't but this is comparison of the final result. So finally I have almost full bottle (60 ml) of primer going to the trash can... money and time well spent. This is one of the reasons modelers have frequently used lacquer based automotive primers that adhere to plastic quite well. I agree with you but what made me look for something different than my Tamiya spray primer was the lack of control. Fortunately there is a nice selection of solvent based airbrush friendly primers. Yes nice to see Arthur's comment. I use plasti-kote primer and it works a charm, halfords primer will also work well from what I have read. There is one more reason a primer won't adhere and that is the presence of release agent from the mould, so for a real excellent adhesion wash your model in water with a bit of soap. 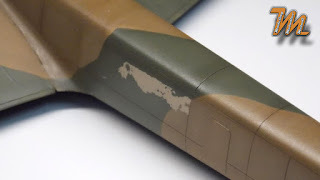 All non laquer based acrylics (primers and paint) like AK, Vallejo, etc are not well suitable for aircraft models. 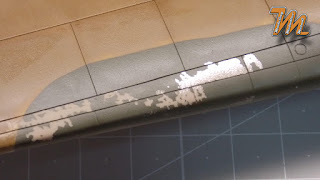 They have very low surface adhesion to plastic, are very sensitive to masking, got damaged from decal softeners, and they cannot withstand much handling. They are very good for figures, armor etc where there is no masking, minimal decals, and no need to touch the model several times till you finish it. Well if that is the case they (AK) should advertise their products properly. Quote from their site: "Its superb adhesion qualities combined with a matt-satin finish make our primer the perfect choice for preparing models for painting." That is misleading in my view. I've used these types of primers on different projects including figures armor and buildings. I can't say I've ever tried them on aircarftresour but what I experienced with them makes me agree that the bin is the best place for them. Unfortunately the bin is where your money and time are going aswell. I use and sell Vallejo. Never had an issue with their primers. Yes, you have to clean the surface. But once you do that, spray their primer. Bob's your uncle good to go. Doesn't matter what type of kit it is, it will work just as well on an aircraft model as it will a tank or car or figure. Saying that it is not well for an aircraft kit is asinine! I have been using this primer with relative success, yes, it is fragile but if you handle it with care it should work well, but as I also had to overcome some problems of pealing off paint with prime into the bare plastic, I am avoiding using them for exterior, I use mostly the black one for interior and figures, just because I spent my money and I have to use it somehow, but for exterior, i trust more the MR surfacer 1000 dissolved with tamiya lacquer thinner, I still need to try out the badger stuff, seems that everybody loves it. You can buy surface primer from tamiya which is the same stuff as the spray can. Just thin 1:1 with tamiya lacquer thinners and your good to go. I have experienced the same problem with Valejo primer. 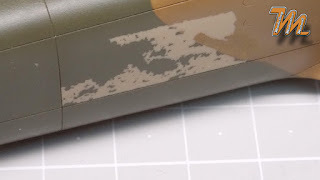 The primer show up any imperfections on the surface which is good, but you just cannot sand the area down because the primer just flakes off. I have found Humbrol rattle can primer to be excellent, it forms a super smooth coat, is very tolerant of applying to much paint to one area (just dries down to a nice even coat) and sticks perfectly. I just tried acrylic based primer for ease of airbrushing and convenience of a water based paint but it seems a solvent primer is the way forward.